U.S. home sellers pulled in the biggest gains in nearly a decade in the first quarter of 2017, with Bay Area and California markets leading the pack. According to ATTOM Data Solutions’ Q1 2017 U.S. Home Sales Report, owners who sold their homes in the first quarter profited by an average of $44,000 since the time of purchase, the highest in nearly 10 years. That represents a 24 percent gain, also the highest since the third quarter of 2007. The median U.S. home price climbed to a new postrecession high of $225,000, up 13 percent from the first quarter of 2016. In a statement accompanying the report, ATTOM Data Solutions Senior Vice President Daren Blomquist attributed the price gains in part to tight inventory conditions. 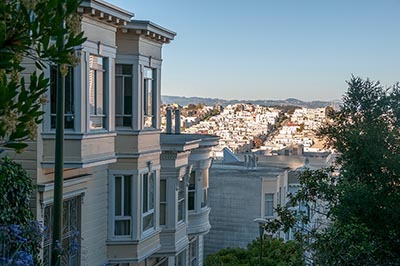 A shortage of homes for sale has been a persistent issue in the Bay Area and California, and scarce inventory helped ensure that Golden State sellers enjoyed handsome returns in the first quarter. Four of the top five most profitable markets for sellers are located in the state: San Jose (an average return of $356,500), San Francisco ($276,750), Los Angeles ($187,000), and Oxnard ($160,000). San Jose and San Francisco home sellers also reaped the country’s largest returns on investment since the time of purchase, a respective 71 percent and 65 percent. Tight inventory means that bidding wars across the state are common this spring. According to the California Association of Realtors’ latest Pending Home Sales Index, 39 percent of single-family home sales in the state sold for more than asking price in March, up from 34 percent one year earlier. And even with Bay Area real estate’s big-ticket price tags, all-cash sales are again rising. ATTOM Data Solutions says that San Francisco was one of 34 percent of U.S. metro areas where the number of all-cash buyers increased year over year in the first quarter, countering the national trend.